The world of fitness and weight loss is often confusing, with contradictory information everywhere. It's time to "cut to the chase" and make things really simple for you. Find following a list of 5 foods that you should NEVER eat. Why? Because these foods will derail your fitness and weight loss efforts every single time. However I will suggest a healthy substitute for each of these "NEVER EAT" foods. By simply swapping your choices you will quickly and effortlessly become healthier, leaner and fitter than you are today. Fried food is loaded with fat and calories while offering zero nutritional value. It's a lose-lose, no win formula! Sure, fries and chips TASTE good, but healthier items also taste good. Just say no to the deep fried items on your menu. You'll be thinner, healthier and won't have greasy fingers. 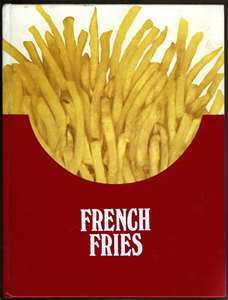 If you crave a French fry, then make them at home in your oven. You can even replace your white potatoes with sweet potatoes, they're a more complex carbohydrate. Cut them into matchsticks, drizzle with a tablespoon of olive oil or spray them with fat free spray, and season them along with a dash of salt or favorite seasoning; then place in your oven on broil. Mix every 5 minutes until the fries are tender on the inside and crispy on the outside. Trust me they're great. Other great choices are Zucchini, and butternut squash. 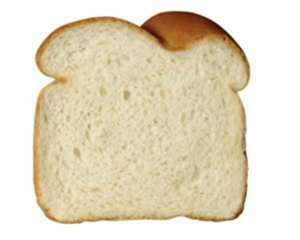 White bread products have zero nutritional value and are quickly converted by your body into sugar. So you may as well eat a cupcake. Even breads that are technically wheat, but are as soft and smooth as white bread, should be avoided. Don't be afraid to discard the bread from your sandwich or to push away that bread basket. Your waist will shrink and you'll lose that bloated feeling that high carbohydrate meals give you. If you must have bread, then stick with sprouted grain breads. Sprouted grain bread is a lot easier on your digestion and is packed full of nutrients. Sprouted grain breads are often kept in the freezer section since they don't contain preservatives to prolong shelf life. You were so good to order a salad, but then you ruined it by drenching the salad in fattening creamy dressing. 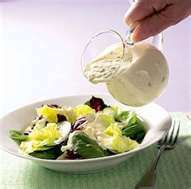 Just a few tablespoons of creamy dressing contain more than 20 grams of fat and hundreds of calories. It takes work to get rid of those pounds. Salad dressing is meant to lend flavor to the salad, not fat and calories. Vinegar-based dressings pack amazing flavor with minimal fat and calories. You can even mix your own dressing at home. Take high quality vinegar, fresh lemon juice, salt and pepper, your choice of dried herbs, and a bit of olive oil. The possabilities are endless, and it's OK to eat them. I'm sure by now you've heard that white rice is not a healthy choice. 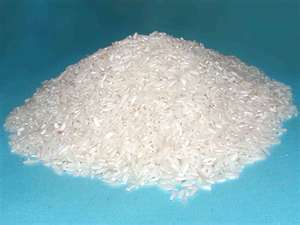 Just like white bread, white rice has zero nutritional value, other than calories. Fiber and vitamins have been removed and the glycemic load will quickly prime your body for storing fat. Don't eat it. Brown rice has three times the amount of fiber, more B vitamins as well as other nutrients, won't sky rocket your blood, and will keep you feeling fuller for longer. That should be enough to convince you to swap your large pile of white rice out for a small pile of brown rice. Plus it tastes great. Sugar and high fructose corn syrup are the epitome of anti-fitness food. Nothing will destroy your progress, expand your waist and plummet your energy levels like sugar will. If you only take away one do-not-eat food from this article please let it be sugar. 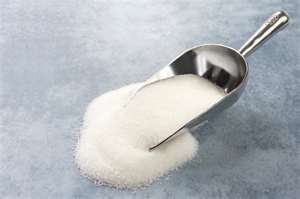 Don't turn to artificial sweeteners to get your sweet fix, instead turn to nature's wholesome source of sugar: fruit. Eat organic fruit that is seasonal and locally grown. Stay away from dried fruit and fruit juices, as these are high in simple calories. There you have it, so what do you think? It's not that hard to do. Eating right along with good challenging exercise, is the formula for a toned, lean body; so give it a shot and see how you look and feel. If you're still having a problem, reach out to us and we will come up with a fitness plan that is uniquely yours, one that fits your lifestyle and brings you quickly to your goals. Preheat a skillet, or pancake griddle over medium high heat. Lightly coat with cooking spray. Dip each slice of bread in the egg white mixture, flipping to coat each side. Place on the prepared skillet and cook for 3-5 minutes on each side, until the eggs set and turn golden. 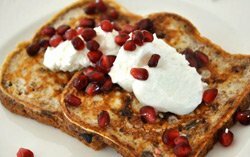 Serve immediately with the additional yogurt and pomegranate. Nutrition: One serving equals: 127 calories, 0 fat, 157mg sodium, 19g carbohydrate, 2g fiber, and 12g protein.